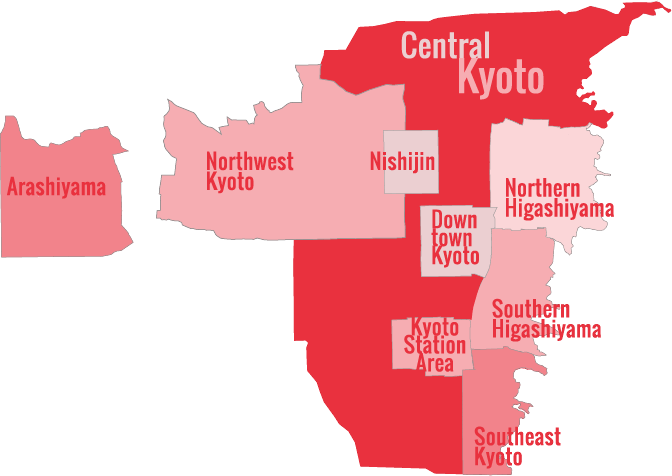 Wondering where to buy a SIM card in Kyoto? You can buy a data-only SIM card just a few steps away from Kyoto Station. It’s very easy to buy a SIM card for your phone or device in Kyoto. You can do it immediately after arriving in Kyoto. If you prefer to purchase online and collect your SIM on arrival at Kansai International Airport, you can do so by purchasing a SIM card online at Klook.com. Just keep in mind that in order to use these SIMs, you must have an unlocked device and be able to configure the device to use the SIM. While these SIMs are data-only SIMs, you can use them to make Skype calls, so you can use your device like a phone if you wish. So, if you’re first stop in Japan is Kyoto, it makes sense to buy one as soon as you arrive. 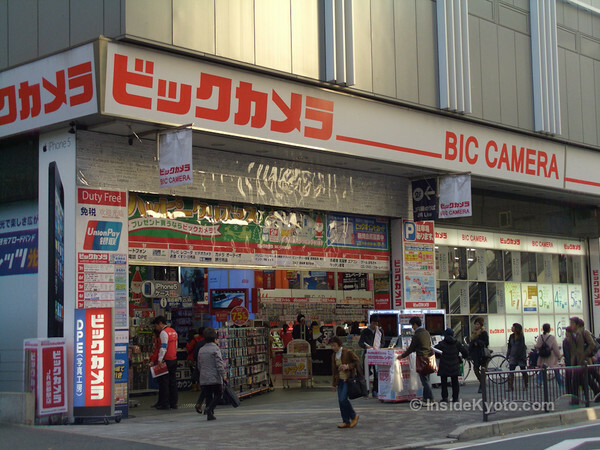 A good place to do so is BIC Camera, which has a huge branch directly next to Kyoto Station (actually, it’s part of the same building – on the far west side of it). While there is a direct exit from the platforms that will take you to BIC Camera, it’s easier to find by going out the normal main exit on the north side of the station (known properly as the Karasuma Central Gate). This is the side from which you can see Kyoto Tower (if you can’t see it, you’re at the wrong exit). Exit Kyoto Station via the Karasuma Central Gate and take a left as soon as you’re outside the building. Follow the sidewalk around the front of the building (it will jog left then right) and walk past the entrance to a parking garage and after a minute or so, you’ll find yourself in front of BIC Camera (a big white store, pictured above). Take the escalator to the 2nd floor and go right to the cashiers. The SIM cards are very close to the top of the escalator. They have a wide variety of cards on sale. The ones for tourists usually have English writing on them. If you need assistance, some of the staff speak English and they can usually help you choose a card. 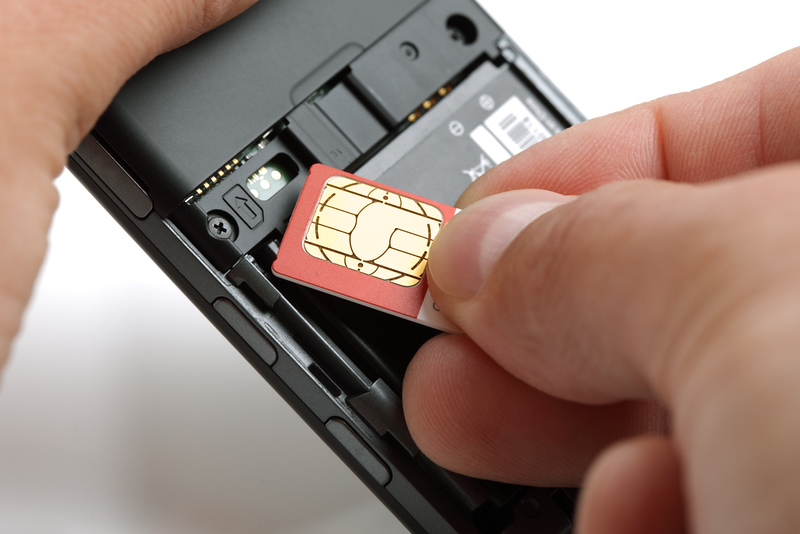 In my experience, the best prepaid data-only SIM card in Japan is the IIJmio Japan Travel SIM. It requires a brief registration process (that you can do on your phone), but once the card is activated, you’re good to go. If you don’t want to be bothered with buying a SIM card after arriving in Japan, you can order a B-Mobile Visitor SIM in advance and have it delivered to your arrival airport or your first night’s lodgings. And, best of all, these Visitor SIMs do not require a call to activate. See my post on the B-Mobile Visitor SIM for more information.